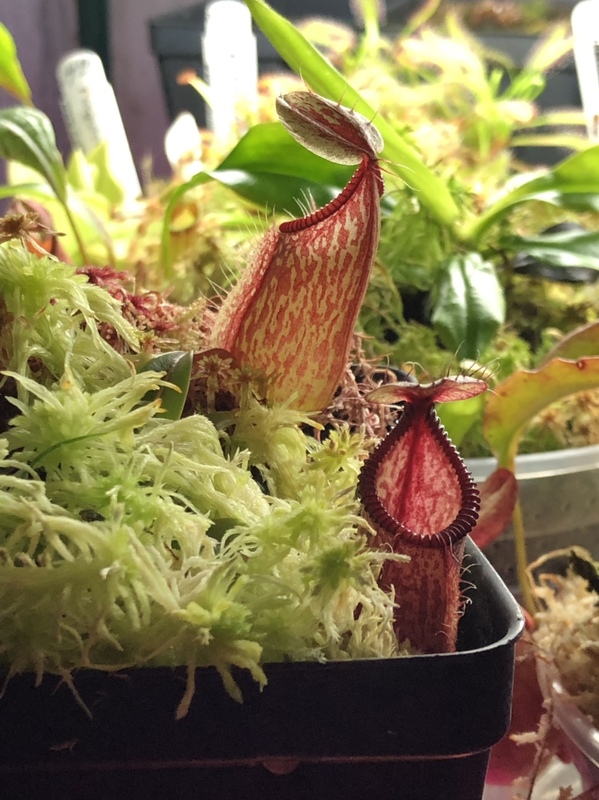 Purchases from a carnivorous plant store? What are your experiences with a carnivorous plant store (flytraps.com)? I placed an order from them on their website and it's been listed as "unfinalized" for about a week. I received an email immediately after submitting the order last week saying that my order status would be shipped once payment is confirmed, but no charges has shown up on my card yet. Also, I tried looking up past posts on this supplier, but it seems like every occurrence of their store name has been filtered and renamed to "carnivorous plant store". Did something happen between this site and them? Re: Purchases from a carnivorous plant store? You'll probably want to send them an email to figure out what's wrong with the order. They do only ship two days a week but it shouldn't ever take this long to fill an order. I personally have never purchased from the website but have bought from their eBay account on multiple occasions. It's a good source for cheap plants. Also don't worry about the word filter thing. It's pretty common with forums to "censor" the names of competing nurseries. Not bad. He has a lot of what I call "junky hybrid" Neps and sarrs on his eBay. But hey, if you see something you like that's what you'll get. I ordered a few sarracenia from them before.. one was actually a very nice Flava rubricorpora...I think my really nice looking s. x formosa is from a carnivorous plant store as well. Another was an oreo x flava, which basically didn't inherit any super cool phenotype it's is just a flava that had phyllodia all spring and fall. I suspect he has a lot of reject seedlings since after breeding projects on larger scales you are bound to end up with a bunch of less-than-stellar seed grown plants and not amazing new hybrids worthy of a name out of every single seed. I also saw some S. moorei for sale but they are such junky crosses... Technically moorei due to the parentage but they look really bad, being on the lower end of hybrid variability. A lot of the divisions are young. But a lot of cheap prices because of that...you sort of get what you pay for with this seller with some occasional gems. Don't worry about it being a scam or anything like that. I also have noticed the eBay sales go through much quicker than ordering through their website. But it will go through eventually. Sometimes they are busier than usual. As Nim mentioned I would just send them an email asking about it. Pic is my glabrata x hamata from him.